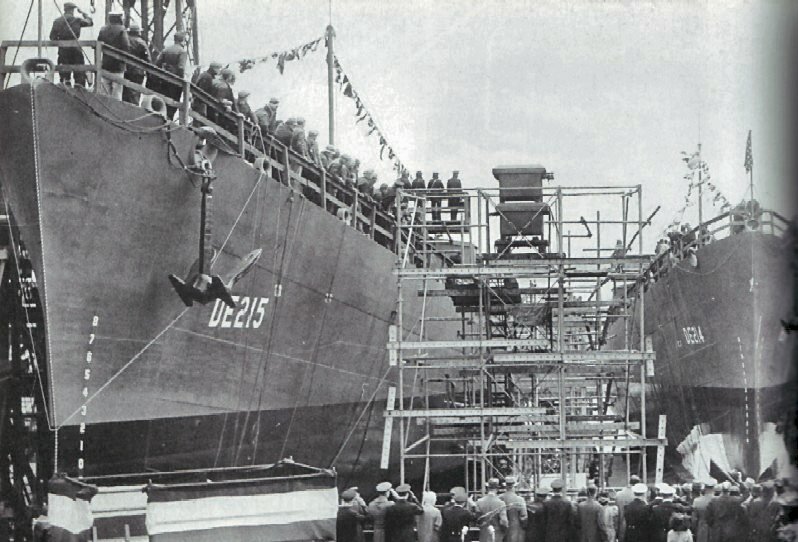 01 January 1943: Keel laid by the Philadelphia Navy Yard, Philadelphia, Pa.
48k John Edward Burke was born on 24 January 1905 in Bismarck, N.D. 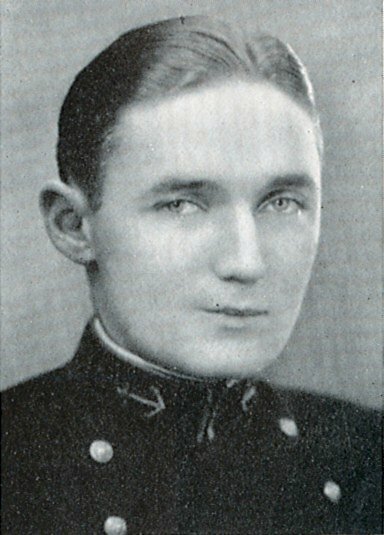 He was commissioned ensign upon graduation from the Naval Academy in 1928. Burke saw service afloat before serving as aircraft gunnery observer with the Battle Force Torpedo School. Service in USS Wasp (CV 7) was followed by periods of training duty. On 02 February 1942 Lt. Comdr. 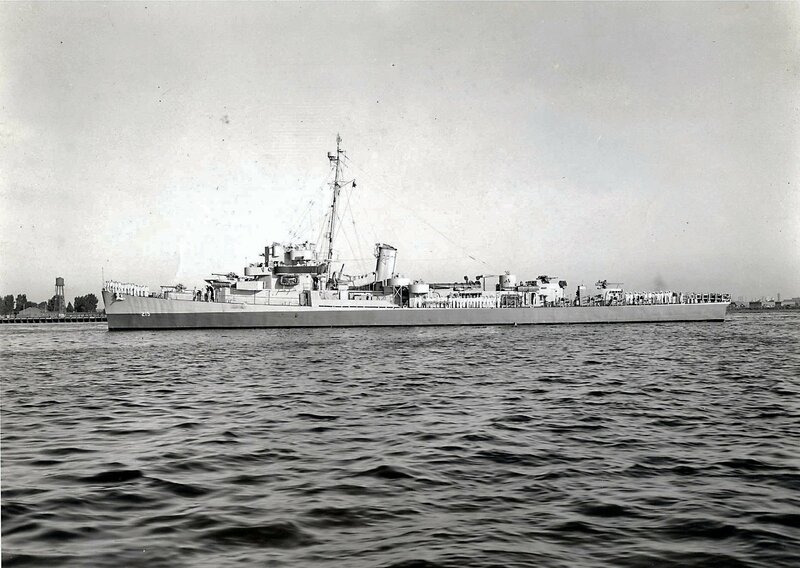 Burke reported to South Dakota (BB 57) at the New York Shipbuilding Corp. in Camden, N.J., for duty as air defense officer. The battleship was commissioned on 20 March and, following shakedown training, headed for the Pacific. Just after midnight on 15 November 1942, South Dakota engaged a Japanese bombardment group under Admiral Kondo off Guadalcanal. South Dakota took 42 hits which killed 30 crewmen and caused considerable damage. Lt. Comdr. Burke was one of those killed. Lt. Comdr. Burke was posthumously awarded the Purple Heart. USS Burke (DE 215) (1943-1949) was the first ship to be named in his honor. View the USS Burke (DE 215) DANFS history entry located on the Naval History and Heritage Command web site.